District 21 – August 2010 – Lincoln Nebraska A.A.
12 Traditions read by Pat D.
Secretary’s Report (Amy W. subbed for Matt): Approved as read. Intergroup Liaison Report (Jon R.)-See printed report for more detailed info. District 3 will be hosting the Labor Day Unity picnic. The 4th of July picnic was nearly self-supporting (w/in $10! ), balance is $1985.52. Seeking Solutions (Jon R.): Things are going well, Old Timer’s forum was a couple weeks ago. Great attendance at the forum (over 100! ), regular attendance about 70. Spiritual Actions (Emily S.): Everything is going alright. Sufficient Substitute (Sam R.): Still need an alt. GSR. Attendance fluctuating. Women’s Circle of Friends (alt. Rhonda R.): not present. Cafeteria Group (Tom B. ):Tom is at a graduation party. Practical Applications (Brian D.): Changed from an open to closed meeting. Looking at changing the meeting name. Love the new location (Grace Chapel at 40th and Sheridan). Young People’s (Virginia M., alt. ): Attendance fluctuates, common to have big attendance but low 7th tradition. Miles M. is new intergroup rep. Still trying to find a bank. Wed. noon at R.O.C.C. (Toni A. ): not present. 1. Amy went to the Delegate’s Report event on Saturday, August 14th. The only GSR that came from our district was Sam R. It was very informative. Amy read through her notes from the report. An official report will be available next month via GSO. • Workshop will be held October 9th at 1pm, at R.O.C.C. It will cost $50.00 for rent. 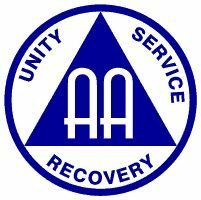 The theme of the workshop will be: “Continuing to grow in AA”. We will ask Jennifer R. to speak on “Accepting Life on Life’s Terms”, if she can’t, Pat D. will. • We discussed food. We will ask our groups to help with this and will discuss this at the September business meeting. • Amy has made a flier. One change will be “Carol W.” should be “Carole” W.”Amy will change this, and will update the flier when we find out for sure who the 5th speaker will be, and will email everyone the flier. • Transportation for people in treatment centers. If needed, Brian D. and Jon R. may be called on for transport, and Emily or Pat may also be called as a back-up plan. Let Amy know if you are willing to transport to this event. 2. Delegates Report: Leon gave his report August 14th at 1 pm at 24th and Sewell. A $50 check was written out to District 22 for the event and this will be passed on to Chad O., District 22 DCM. 3. District boundaries. Nothing new again. Amy will work on this for the September district meeting. 4. Voting items for upcoming Sept. 11-12th Area Assembly. District 21 Failed Voting item #005. Some discussion on how many officers were approved to go to the West Central Regional Forum. It changed in the past. District 21 Passed Voting item #008. 1. Grapevine Survey. Have as many AA members fill this out as possible and return to Area Delegate, Leon A. The survey will be available online (area41.org) after August 20th, 2010. Contact Amy W. if you need hardcopies. Meeting closed with the “Serenity Prayer” at approximately 6:45 pm.